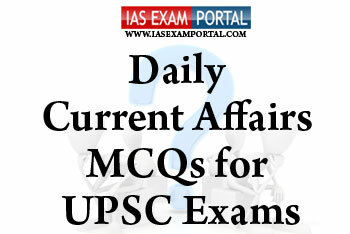 Current Affairs MCQ for UPSC Exams - 09 October 2018 | IAS EXAM PORTAL - India's Largest Community for UPSC Exam Aspirants. Q1. Which of the following statements regarding PM vaya vandana yojana are true ? Q2. Consider the following statement regarding the chemical Bisphenol A recentky seen in news. Q3. Which of the following is the nearest port access to Iran from India for import ofcrude oil ? Q5. Chapchar Kut, Mim Kut and the Pawl kut,all three festivals are solely dedicated to agricultural activities. The festivals are celebrated to mark the arrival of spring with extravagant feasts and intricate traditional dances.